Stem cell therapy involves use of stem cells to treat various diseases or disorders. Stem cells are fundamental for every tissue and organ in the body. Stem cells are indistinguishable biological cells that are able to differentiate into specialised cells (liver cells, cardiac cells etc.) and can renew itself (through mitosis) to produce more stem cells. Stem cells have the ability to replicate, repair, and replace other damaged tissues in the human body. In addition, stem cell based therapies are also used to treat several chronic diseases such as blood disorders, cancer and others. 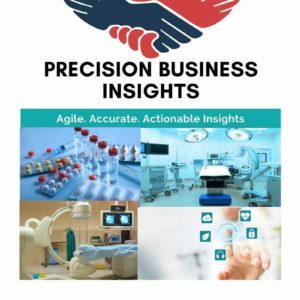 Growing awareness about the potency of stem cells in disease management, development of advanced gene based analysis techniques and increase in public, private investments in stem cell research are acting as growth drivers for stem cell therapy market. In addition, identification of new stem cell lines and development of infrastructure for stem cell banking & processing are propelling the growth of the global stem cell therapy market. However, ethical issues involved in stem cells research such as destruction of human embryos, religious beliefs are considered as road blocks for adaptation of stem cell therapy by patients. However, stringent regulations to conduct trials on humans, high-cost of research and storage of stem cells are some restraining factors for stem cell therapy market. Stakeholders in stem cell therapy such as academic institutions and research firms are collaborating in development of stem cell therapy and industry collaborations also projecting enormous growth of stem cell therapy market. For instance, in November 2015, Cellular Dynamics International, Inc. (FUJIFILM) collaborated with Roche to supply iCell (CDI’s induced pluripotent stem cell derived) products that enables in identification of novel drug candidates at the early stages of drug discovery. Similarly, in May 2017, Magenta Therapeutics, entered into strategic partnership with Be The Match BioTherapies, to improve and expand the use of curative stem cell transplantation. Geographically stem cell therapy market has been segmented into following regions viz. North America, Europe, Asia-Pacific, Latin America, and Middle East & Africa. Among the regions, North America dominates global stem cell therapy market due to factors such as increasing prevalence of chronic diseases, growing awareness, and rising investment in research and development activities. In Asia Pacific region, due to the favourable government policies, development healthcare infrastructure, industry collaborations in research and developments expected to boost stem cell therapy market. For instance, in April 2017, Plasticell, a developer of stem cell technologies and cell-based therapies, has announced that it has signed agreements with the Agency for Science, Technology and Research (A*STAR), Singapore, and the Nanyang Technological University (NTU), Singapore, to progress its therapeutic stem cell pipeline. Some of the players in stem cell therapy market are Cytori Therapeutics Inc. (U.S.), Fibrocell Science (U.S.), Cellartis AB (Cellectis) (France), BioTime, Inc. (U.S.), GE Healthcare (U.S.), Thermo Fisher Scientific (U.S.), STEMCELL Technologies Inc. (Canada), Fujifilm Holdings Corporation (Japan), Vericel Corporation (Aastrom Bioscience) (U.S.), Brainstorm cell therapeutics (U.S.), and Osiris Therapeutics, Inc. (U.S.) to name a few.